Downtown Clermont. 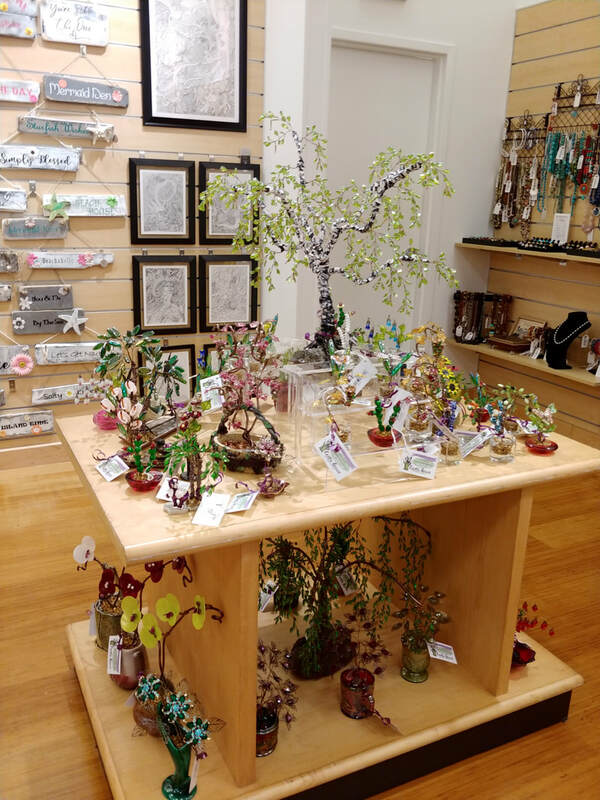 West Montrose St.
Saturday, April 6th, 9 a.m.-5 p.m. "Spring Fever in the Garden"
Handcrafted beaded wire daisies sculpture. 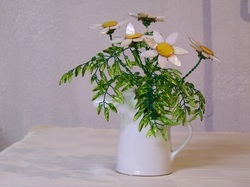 Glass beads as leaves and shell beads as flowers in white ceramic vase. Dimensions are 7" x 7”. Handcrafted beaded wire Christmas cactus sculpture. Glass seed beads as leaves and flowers. 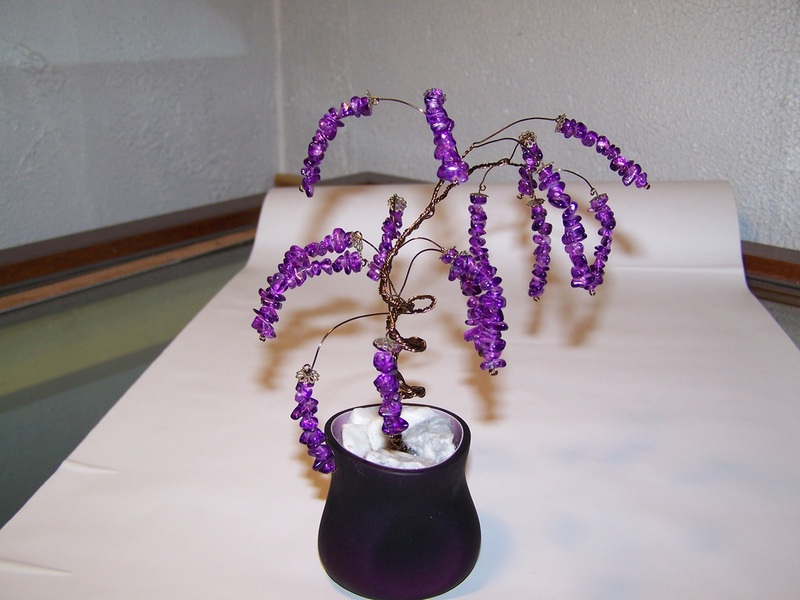 Handcrafted beaded wire abstract purple branch sculpture. Dimensions are 7" x 5”. 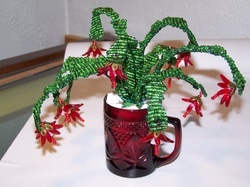 Handcrafted beaded wire orchid sculpture. 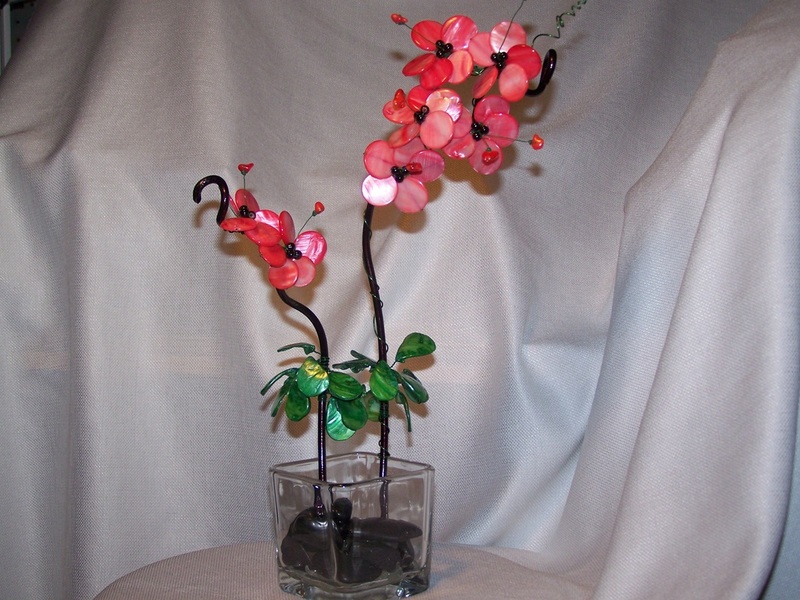 Aluminum wire, shell beads as leaves and flowers. Glass base filled with black stones. Dimensions are 15" x 8”. Handcrafted beaded wire apple tree sculpture. 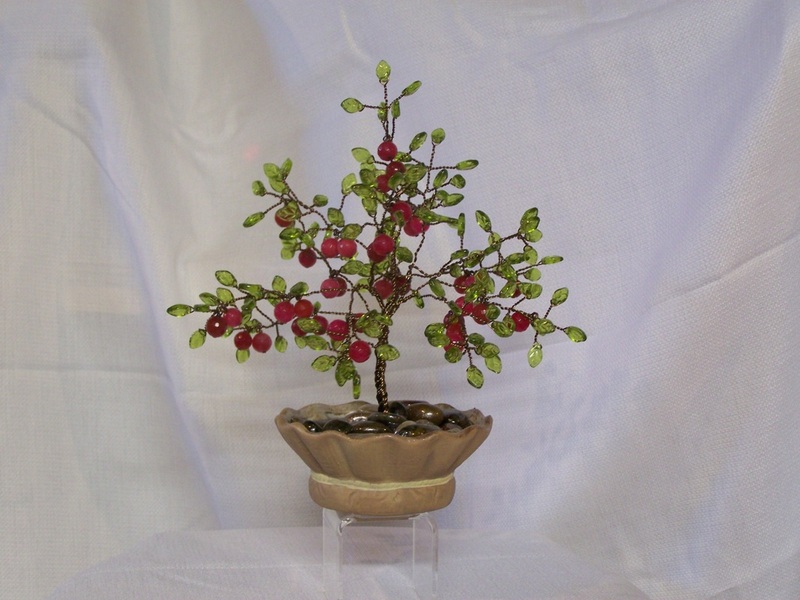 Gun metal wire, glass beads as leaves and large red glass beads as apples. Dimensions are 8” x 7”.